Everything is going très bon this week at Oakwell, following the signing of Frenchman Jean-Yves M’Voto and the visit to Barnsley of former six time French Champions Bordeaux. Bordeaux were the second European team to arrive at Oakwell this summer and just like Club Brugge a fortnight earlier, they were a well organised, excellent passing side who can score goals. 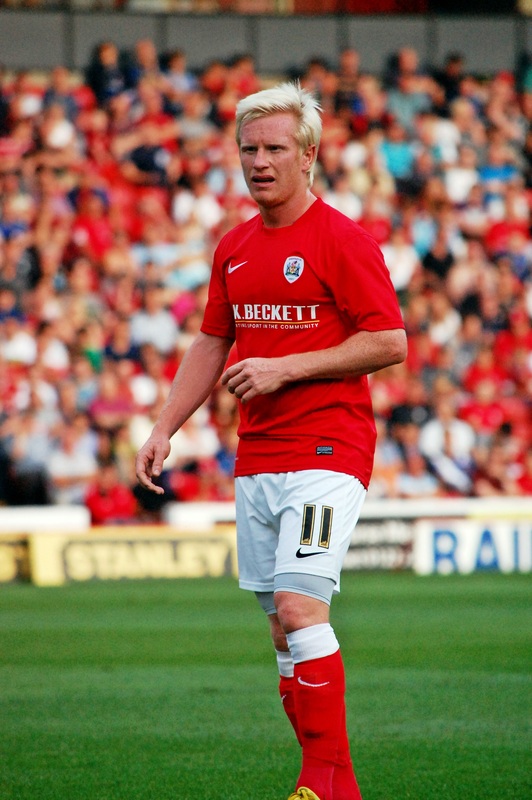 Barnsley started the game well and had the first attempt on goal, when David Perkins dragged his seventh-minute effort wide of the Bordeaux goal from the left-hand side of the box. Bordeaux responded with two efforts on the Barnsley goal that forced Luke Steele into two excellent saves. On twelve minutes Bordeaux took the lead, following a neat move the ball landed at the feet of Jaroslav Plasil, who drove the ball home from just inside the area. In the final ten minutes of the first half, Barnsley increased the pressure on the Bordeaux goal and controlled the game. Chris O’Grady held the ball up well and created a number of chances for his strike partner Chris Dagnall. It was Dagnall who had the final shot of the half, Chris O’ Grady flicked on a header, which Dagnall chased, before sending a shot through the legs of the last defender from a tight angle. Barnsley started the second half with ten changes, only goalkeeper Luke Steele retaining his place. Bordeaux took advantage of all the changes and hit Barnsley on the counter attack, Henri Saivet raced through the Barnsley defence, before squaring the ball to Hadi Sacko who fired past Luke Steele in the Barnsley goal to make it 2-0. Just after the hour mark, Barnsley had three great opportunities, the first of which fell to John Cofie, who’s twenty-five yard shot went just over the Bordeaux crossbar. The second effort fell to Tomasz Cywka, who from twenty-two yards curled his shot into the top left hand corner of the Bordeaux goal, past a helpless Kevin Olimpa to pull a goal back on sixty-six minutes. The third and best chance fell to Jason Scotland, who’s header from six yards hit the Bordeaux post following an excellent run and cross by Reuben Noble-Lazarus. On eighty minutes John Cofie struck a freekick which was well saved by Olimpa in the Bordeaux goal. Bordeaux extended their lead on ninety-two minutes when Maxime Poundje sprinted 30 yards down the left, before unleashing an incredible drive into the top corner of the Barnsley goal leaving Luke Steele with no chance. All in all it was another excellent workout for David Flitcroft’s side, whose last pre-season match is on Saturday at Rotherham United.